I recently bought two of the three starter Pokémon from Loz Diamond Blocks and when I saw the original Nanoblocks version of Bulbasaur on the Plaza Japan site I had to add him to my order. I’ve wondered what the difference would be between the two brands and it seemed like the perfect chance to compare the two. As far as I know Nanoblocks are the originals and a lot of their designs have been made in the Loz range. The main difference between the two, in the past anyway, was the price and how hard it is to get a lot of the Nanoblocks sets here in the UK from a trusted seller. The Plaza Japan prices aren’t all that different to the Loz blocks here in the UK but then you will probably get hit by customs so that’s something to consider if you wanted to order any of their Nanoblocks range, they do have a lot of them to choose from though. I’m not really a fan of companies that do obvious copies of others, it may be odd saying that with what I’m reviewing in this post but I had a moment of weakness and saw this IDC Color Bombon Eyes eyeshadow palette on the TK Maxx site a while ago and wanted to try it. I do love their Natural eyeshadow palette, it’s a dupe for the Naked 3 but I still kind of love it anyway, and seeing the RRP of £42.99 down to £7.99 I just wanted to give this one a go too. To be honest that RRP is stretching it a bit, I have only seen them on TK Maxx or in the Beauty Outlet stores for the same price. I’ve taken so long to do a review because I couldn’t find it anywhere and I’d rather post about products that are still available but I saw it in the Beauty Outlet store in Bridgend so if you can find one near you, I think they’re mainly in McArthur Glenn outlet shopping centres, then there are a load of palettes by them in there. I was planning on doing this review of both of the versions of the Liquid Gold I have from Alpha-H and then realised that the Limited Edition Rose version isn’t available in many places. I’ll leave it in because I did find it still available online (£37 for a 100ml bottle here) and it might be available ion various online stores in other countries so might be worth knowing if it’s worth searching for over the original version. Liquid Gold is an exfoliated, or I find it works as one, with glycolic acid. It’s quite strong and works in the same way as products like the Pixi Glow Tonic where it uses chemicals to exfoliate and remove dead skin rather than a physical scrub. The original version is available in a lot of places and the price various from £30-£40 for a 100ml bottle, though £33.50 seems to be the most common price. As it’s stronger than a lot of other similar products it’s recommended you use it once in the evening every two days, rather than twice a day as the Glow Tonic recommends. I’ve had the original for a while and I got the Rose version in an advent calendar but I haven’t got round to giving them a proper try so was interested to see how they’d work compared to other similar products I’ve tried. I really didn’t need any more eyeshadow palettes, especially neutral ones, but it was one of those days when you’re looking on a website and something seems like such a good price so I got it. It’s the IDC Color Makeup Natural Eyeshadow Palette, which is pretty much the closest dupe packaging wise I have ever seen for the Naked 3 palette and the colours inside aren’t bad either. I can’t remember if this palette was £6.99 or £7.99 but for the twelve eyeshadows it seemed such a great price and I was interested to see how close it would be to the Naked 3 as I haven’t actually seen reviews of this palette around. It does claim to have a RRP of £42.99 but I think that’s a bit of a stretch when the only online stores I can find have it around €10. I have to say that normally I don’t go for products that are so obviously close to the originals (as far as I can tell this is a newer palette than the Naked 3 but feel free to correct me if I’m wrong, they’re just so similar it feels like it’s trying to be a dupe), it’s one of the reasons I haven’t gone for more of the Makeup Revolution chocolate palettes, but it was a moment of weakness so I thought I’d give it a proper try as I’d bought it. I also got their Bonbon palette, a dupe for the Too Faced Chocolate Bar Palette which I’m going to try next. 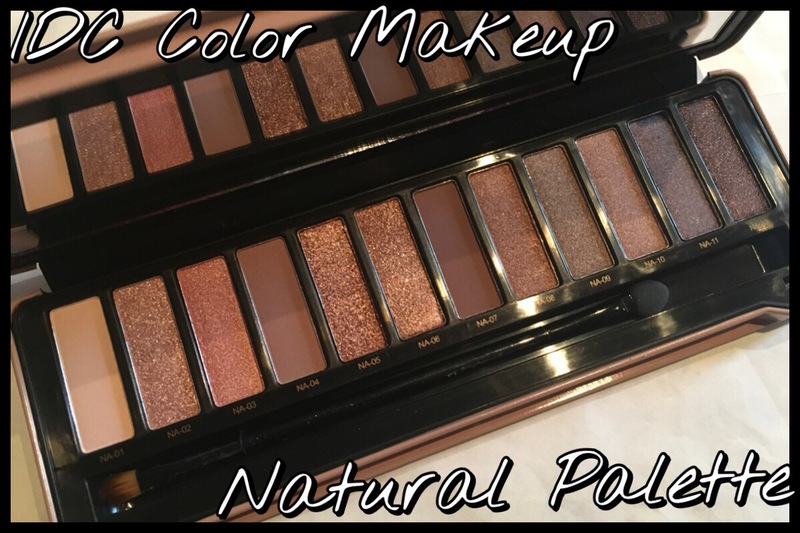 I decided that, as this is so close to the Naked 3 palette I’m going to have the first half of this post be a review of the palette by itself and the second half will have some comparisons to the Urban Decay palette. If you’re only interested in seeing how they compare scroll down through the first bit. Having bought the second, apparently limited edition, version of the Meet Matt(e) Hughes Liquid Lipsticks Mini Set from TheBalm I thought it’d be interesting to compare it to the original mini set I bought a while ago. Although they should be pretty much the same there seems to be some differences, besides the colour of the lipstick, which may be due to the colours and formulation of each colour like you often find with products of different colour in the same range. I have had the original set for a while, but I don’t think there has been much change over time with the formula. If you want to read the review posts for these you can find the original set, the one I’m calling Vol. 1, here and the newer set review can be found here. They have swatches and a bit more of a detailed description of each of the colours. I said I was going to declutter and I finally managed to collect everything together and go through it all, some had mysteriously moved to my computer drawer at some point, so I’m going to start on my decluttering posts. I will be posting links to any reviews I’ve already done so you can see better swatches and things and there are some things that I do still like but it was just their time to go. Today the whole post is eyeliners, some of these posts will probably have a few categories in as I don’t have much of some things, and it has both pencils and liquid, though I only have the one liquid liner I’m getting rid of. I don’t wear eyeliner much apart from bonzes and golds but I seem to keep thinking that I will and so buy them anyway. I am quite happy to say that the majority of these eyeliners were in free gifts like those spend X and get this bag of makeup free type offers so I don’t feel too bad getting rid of them. I think I’m a bit late when it comes to trying the H&M beauty range, mainly because it’s so hard to find in physical stores near me, so I bought some things in a recent order and have been having a play around with them to see how they work and how well they stand up next to others I’ve tried. Today is the turn of the Micellar Water, which comes in a 150ml bottle for £3.99, not the most expensive but also not as cheap as my standard Soap and Glory which costs £6 for 350ml. All H&M beauty is cruelty free so that means this micellar water is too. This is mainly a review of the H&M Micellar Water but I have included a bit at the end to compare the two rather than doing it as a separate post. Since getting the semi-matte lipsticks from Models Own I wanted to do a comparison to the Sleek ones that were released early this year. I don’t have all of the colours from both ranges but I do have some and wanted to see what they were like side by side. I have compared everything I could think of to compare, though I have done actual reviews for each of the colours I have, you can find the Sleek ones here (the original colours) and here (The Whimsical Wonderland colours) and the Models Own ones from the Dare to Bare collection here. At the moment the only Models Own colours I can find in this range are the Dare to Bare collection colours, though if they’re popular I would imagine that their range will increase in the future and I’m not sure how permanent the Dare to Bare collection is. Sleek currently have twelve in their permanent line alongside three in each of the two most recent collections. I’m pretty late with trying micellar water, I didn’t see what the big deal was until my parents bought me a small bottle of the Garnier one for sensitive skin as it was on offer. I really liked it but I saw a large Soap and Glory one on offer in Boots when my original was running low so I thought I’d try that one as I normally get on with their products. This post is a combination of a review of each of them as well as comparing them on the main points I would have for buying micellar water products from any company. I haven’t actually seen much about the Soap and Glory Total Drama Clean 5-in-1 ‘Magnetizing’ Micellar Make Up Remover, though I have seen a lot about the Garnier Micellar Cleansing water in the various different kinds. I haven’t tried the other Garnier versions so this post is on the one with the pink lid, I don’t know the proper name for it but it says ‘even for sensitive skin’ so I’m going to call it the sensitive one. I bought a Lush lip tint a while ago, one of the new formula ones, and planned on doing a comparison with the original tin versions but forgot that I had the Celebrate tin still which is, I think, the closest colour wise in the original range to the Sunkissed lip tint I got. I think that the originals cost £5 or £6 in the tin version and the Celebrate version was a limited edition for a few years at Christmas time. Sunkissed is in the permanent line and can be found online here, it costs £5.94 for the 4g twist up stick. The most obvious difference between the two is the fact that the old versions are in the tin and the new ones are in a twist up tube but I thought I’d compare the other things about these two as well as a review of the Sunkissed lip tint.